GK Strategy, the strategic communications and public affairs consultancy, and sister political due diligence adviser, GK Intelligence, have merged. To mark bringing the businesses together, and to celebrate 10 years as a consultancy, the business has undertaken a full rebrand. 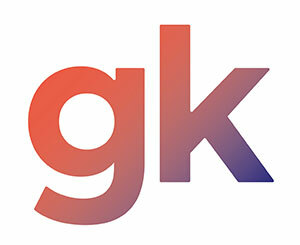 The rebrand sees GK shift to a lower case ‘gk’ and adopt a new colour palette, better representing its make-up as a dynamic, youthful disrupter. Founded 10 years ago by Robin Grainger and Luke Kennedy, GK has become the market leader in providing political due diligence services to the private equity market. Across the Group, the agency has recorded double digit growth for 9 consecutive years, entered PR Week’s Top 100 and is forecast to achieve turnover of more than £3million in the 2019 financial year. The businesses will now be fully integrated, with staff working across all service areas and sharing expertise. Describing themselves as an independent strategic research and communications consultancy, the move will ensure that insight, strategy and impact is provided to clients across the whole agency. “It’s a really exciting moment for our business. “All client work should be underpinned by deeper insights, so it makes sense for us to bring our research and communications businesses together and unify under one brand. “We invented political due diligence for the private equity market, created digital due diligence and are now busy expanding our ESG offer. This diversified expertise represents how we think and enables us to think laterally and to take a long term view about all of our work – from understanding and managing risk to delivering thought-provoking campaigns and engagement.